"Indigenous mob, long time ago, ate from the bush and loved it so. Tucker was hunted and collected from the land. There was no white sugar or food in cans. 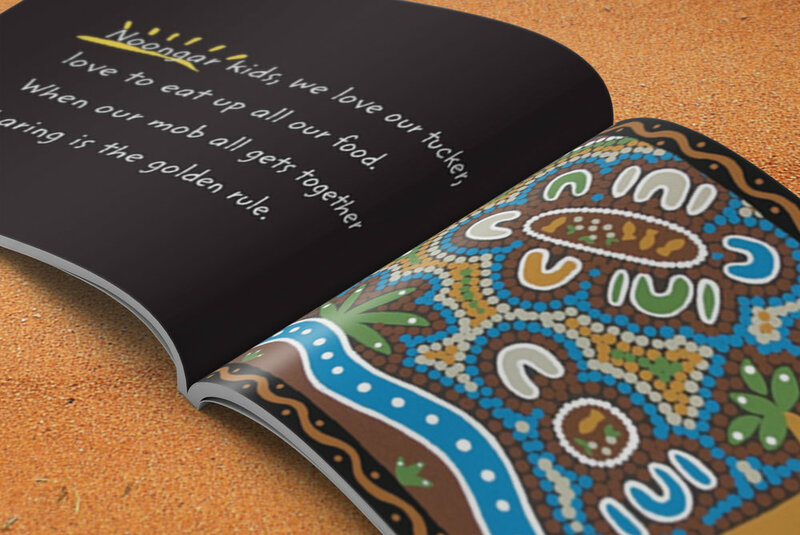 Today, Indigenous families living in cities and towns buy their tucker from the shops. But when the mob go out bush on weekends, roo and barramundi make real good nosh." "Imagine the wind and rain and sunshine on your face. Imagine deserts, seas and sandy beaches. Imagine the bush and all the amazing animals that live here, in this special land. 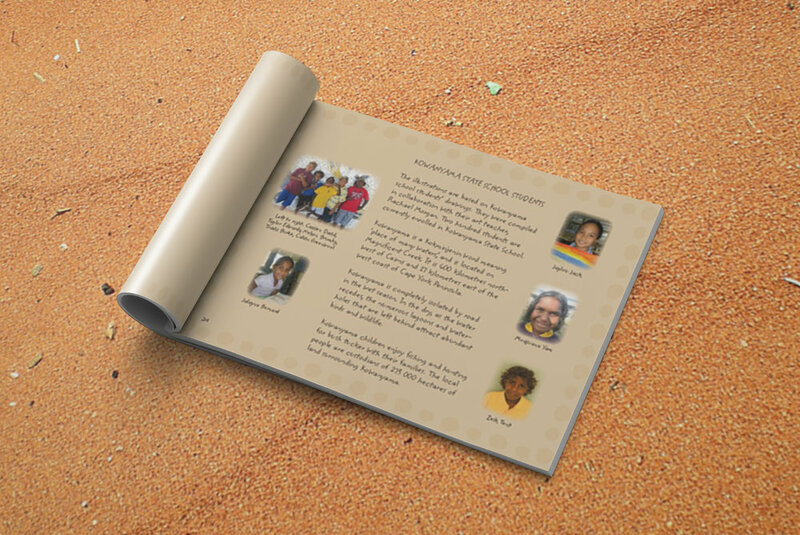 As the traditional owners of Australia, Aboriginal and Torres Strait Islander people have a very special connection to this land, as they have had for thousands and thousands of years." 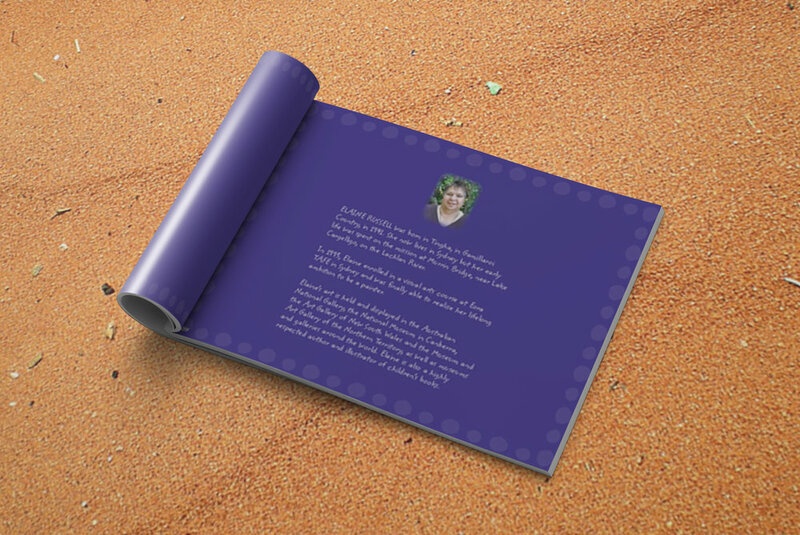 "Aboriginal and Torres Strait Islander people have been living in harmony with the land and nature for thousands and thousands of years. This story gives us a lot to think about. What would you do if you saw a beetle lying on its back? How would you feel if you heard a butterfly weeping? Would you help a grasshopper if it got lost in your room? And if you saw a line of ants on their way home, would you step on them or leave them alone?" 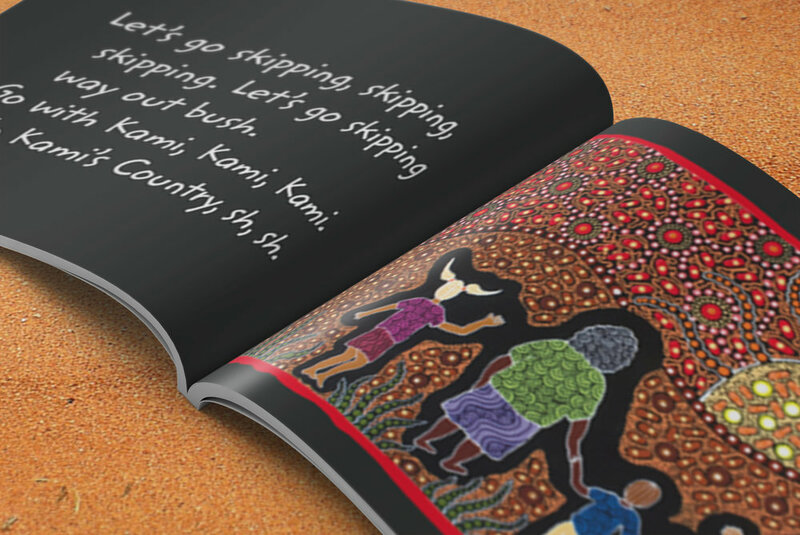 "Kami means 'grandmother' in both the Pitjantjatjara and Yankunytjatjara languages. Permission to include Kami was given by the Pitjantjatjara Yankunytjatjara land council. Let's go walking with Kami way out bush in Pitjantjatjara Country and feel the desert all around us. Let's pick the earth up with our fingers and feel the dirt between our toes. Let's listen up when Kami speaks, 'cause there's much to learn and Kami knows." "Do you love playing footy? Are you a "footy freak'? Dean and his team mates are! Dean loves playing footy and going to training every week. He reads all the footy magazines, watches all the games on TV and, when he goes to the 'knock-out', he loves being with family and cheering for his favourite team." "Who's afraid of the Hairy one? Not me! It's the story we love best! We've heard this story before but we want to hear it just once more. We know it's scary and we feel prepared. We know it's pretend, so we're not scared." 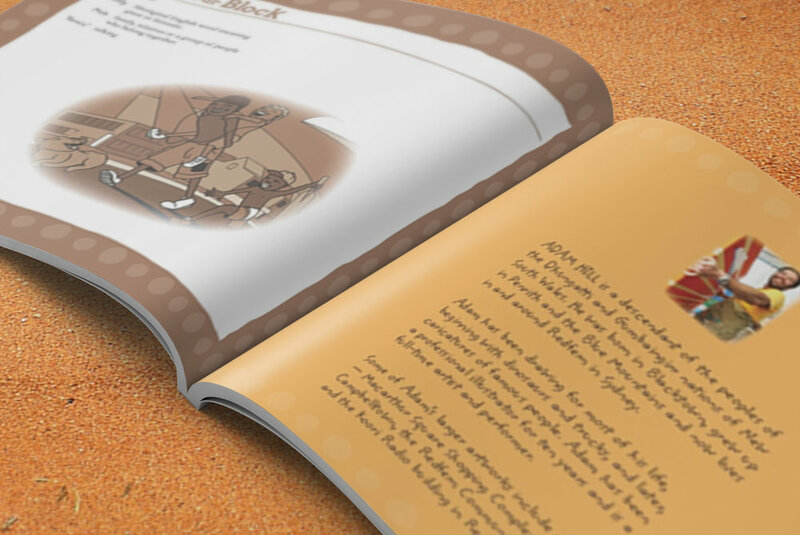 "Have you ever been to the desert and visited Uluru? Have you ever seen a kangaroo playing a guitar in a rock and roll band? Well, put on your dancing shoes because you're invited to the concert. 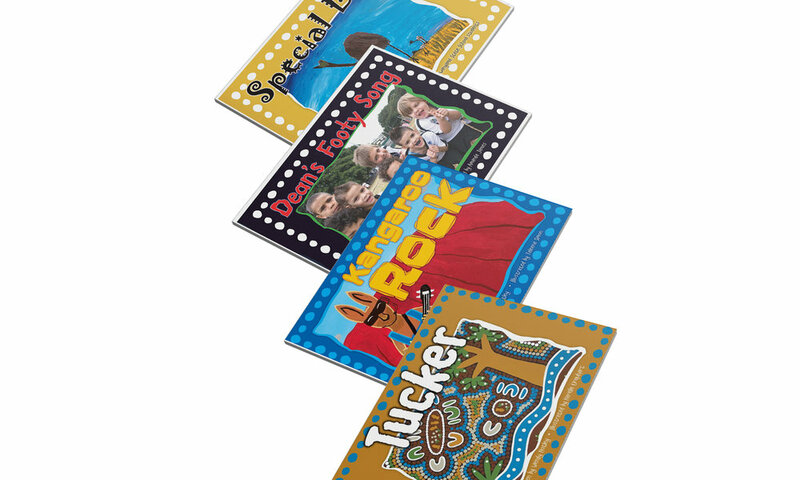 Come and join kangaroo and his friends, dingo, lizard, cockatoo, snake and emu as they 'rock, rock, rock and Uluru'"
"Do you like playing with friends in your neighbourhood all year around? 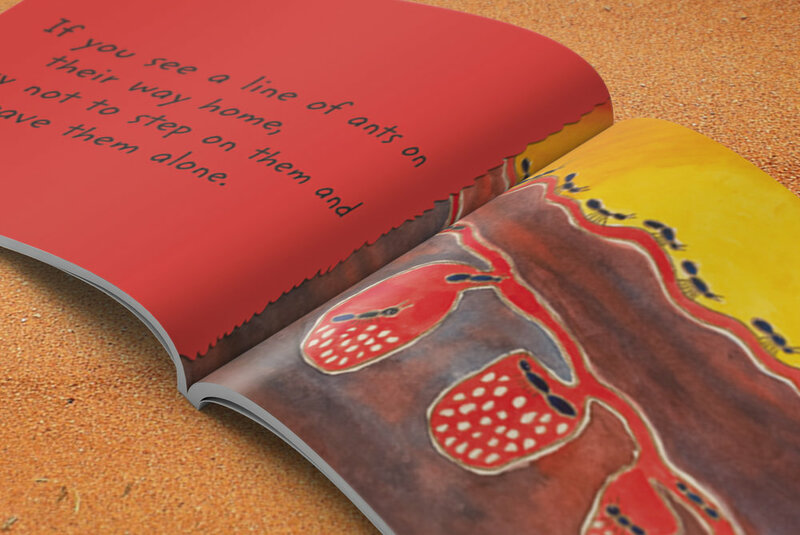 The Indigenous kids in this story do. 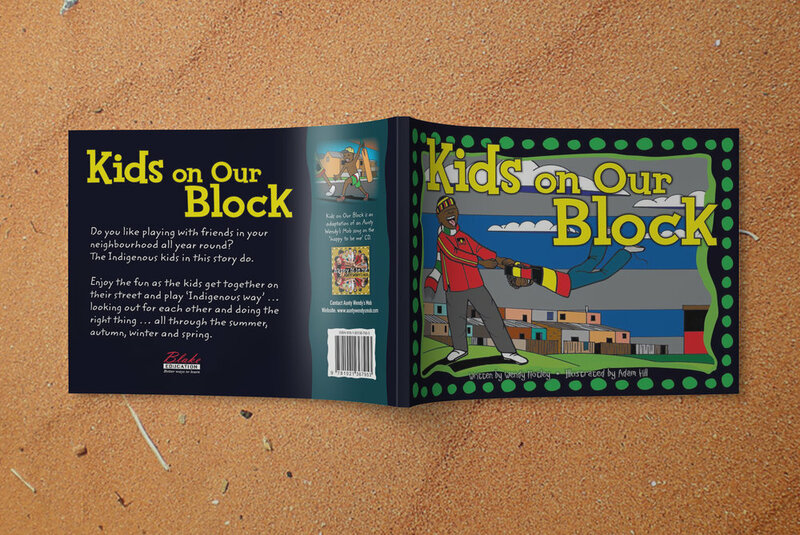 Enjoy the fun as the kids get together on their street and play 'Indigenous way'... looking out for each other and doing the right thing... all through the summer, autumn, winter and spring." 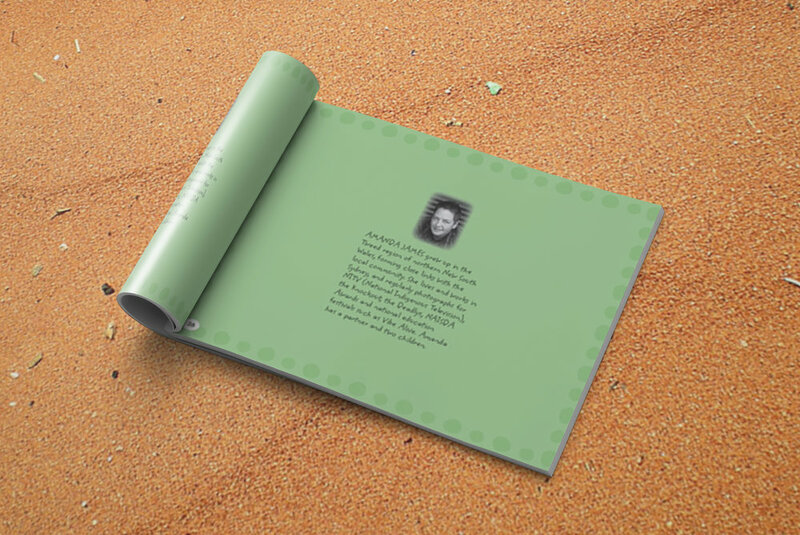 Picture book set for CD "happy to be me"
• Each A4 colour book features a single song from the happy to be me CD. 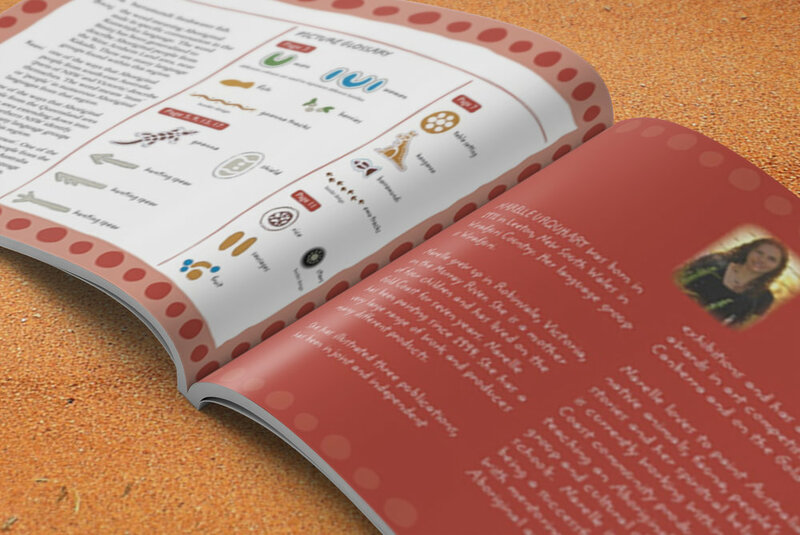 • Artwork by Aboriginal artists present traditional and contemporary styles ranging from the Central Desert, Cape York Peninsula and urban New South Wales. 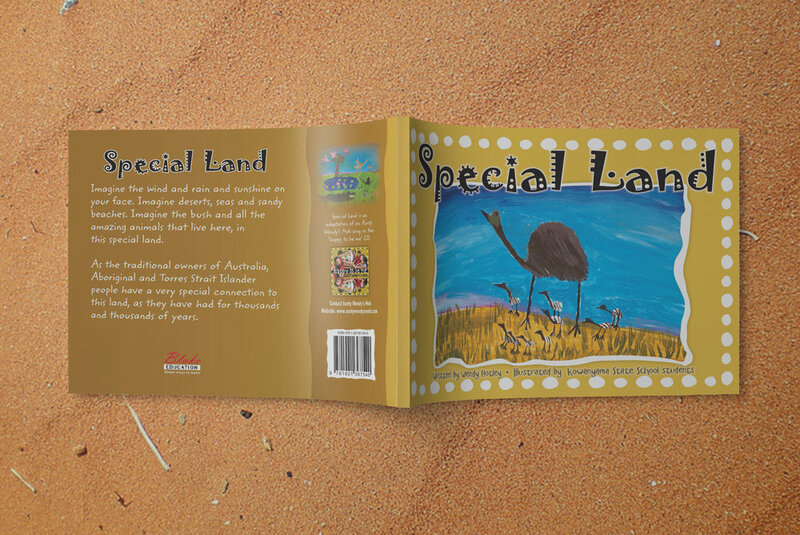 • The artist’s interpretation of the lyrics brings deeper meaning to the songs messages of acceptance, cultural identity, connection to the land and sense of belonging. 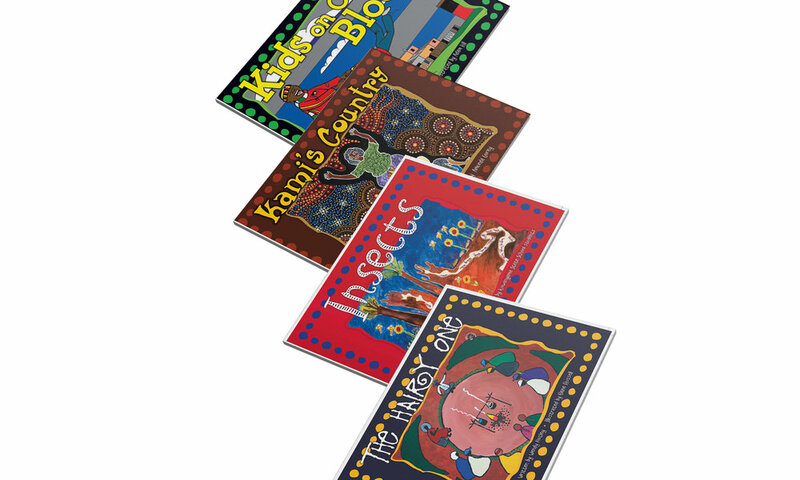 The eight picture books in this series feature a single song from the CD "happy to be me". 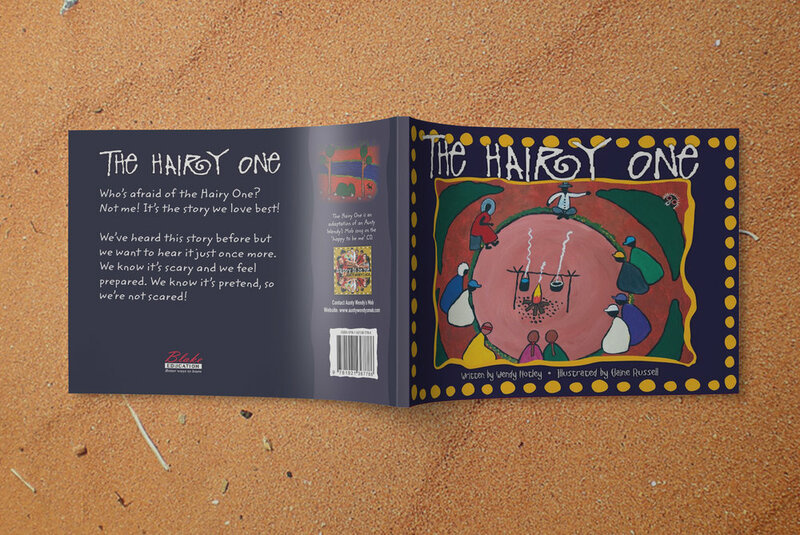 The books provide a rich visual representation of the much-loved lyrics of the happy to be me songs, incorporating messages of acceptance, culture identity, connection to the land and sense of belonging. 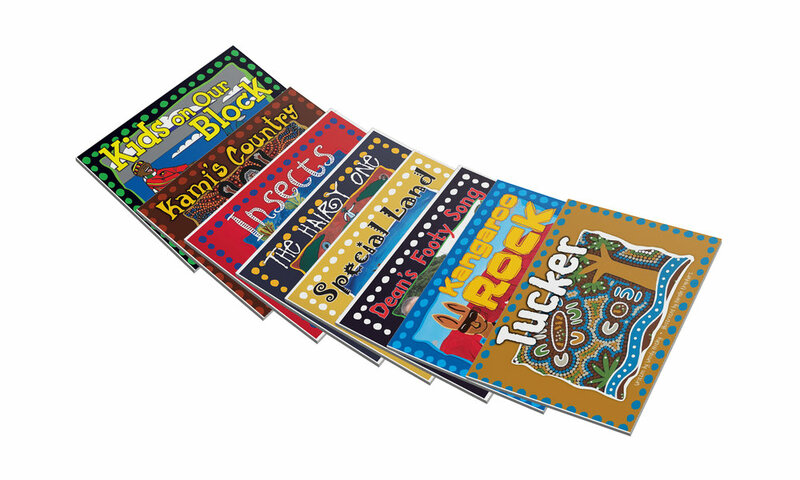 The authentic artwork by Aboriginal artists features traditional and contemporary styles that range from the Central Desert, Cape York Peninsula and urban New South Wales. 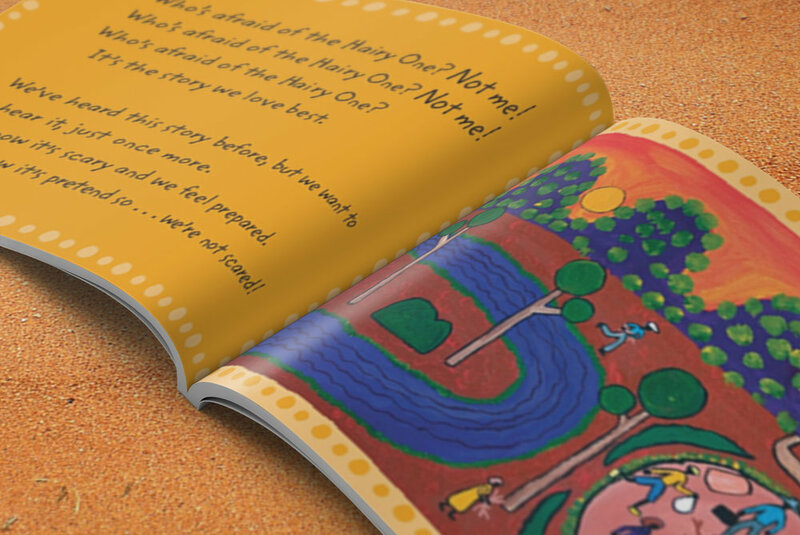 The artist's interpretation of the lyrics brings an even deeper meaning to the songs and provides teachers with a visually stunning and engaging resource for the classroom.